I can’t remember the last time I got excited about a chicken recipe. Well, actually, it was last August when I posted that chicken satay recipe but you know what I mean. 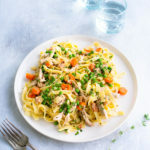 Chicken recipes often feel same-o, same-o and it becomes a challenge to find something that isn’t just another way to sauté chicken breasts. 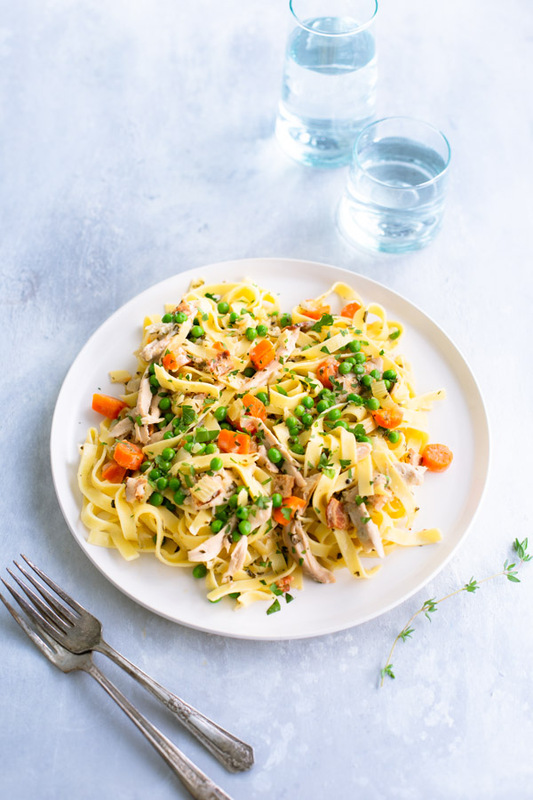 So when I saw this recipe for Fettuccine with Creamy Chicken Ragù in this month’s Food and Wine magazine, it moved straight to the top of the must try list. It was an instant hit with the family with lots of flavor thanks to the braised chicken thighs and some pancetta. There’s a bit of cream for some richness but not so much to be heavy. And pasta makes everyone happy. 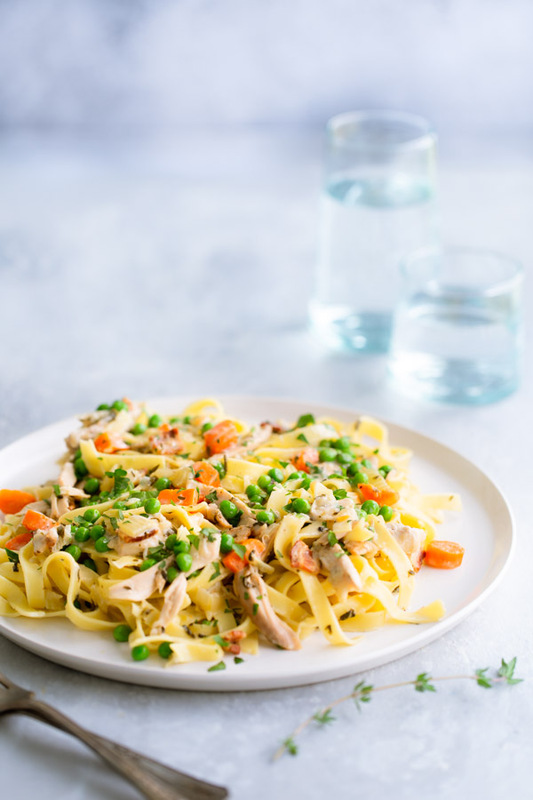 There is lots flexibility in this recipe, allowing you to work with what you might have on hand. Use red or white wine (or a combination), cream or half and half, and pancetta, bacon, or guanciale. I’ve done various combinations of these options and the final dish turned out delicious each time. Stick with the bone-in, skin-on chicken thighs for maximum flavor though. My only wish is this dish were practical for a weeknight meal. The time and pots required make this more of a weekend dish. Fortunately, the recipe makes a generous amount and the leftovers are great.